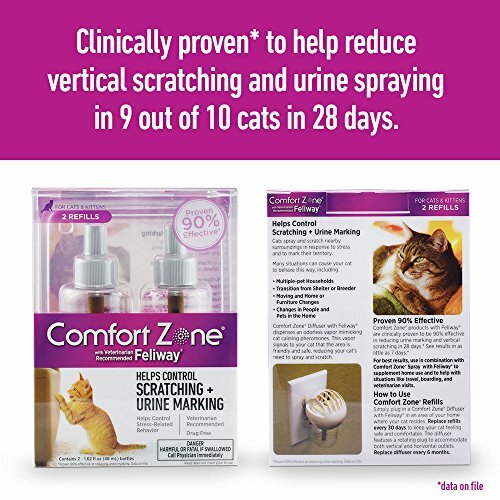 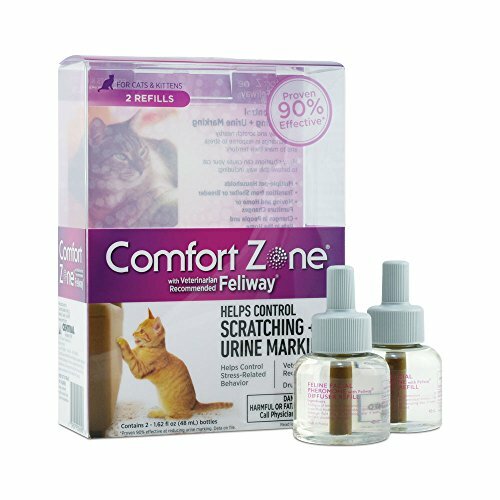 Comfort Zone products with Feliway are clinically proven 90% effective at reducing urine marking and vertical scratching. 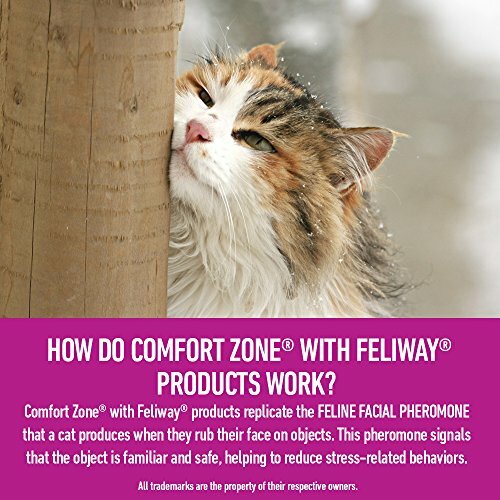 The Comfort Zone with Feliway Diffuser product dispenses a drug-free, odorless vapor that mimics a cat’s natural calming pheromones. 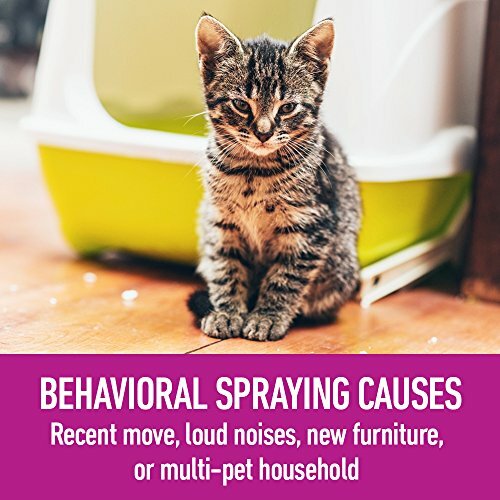 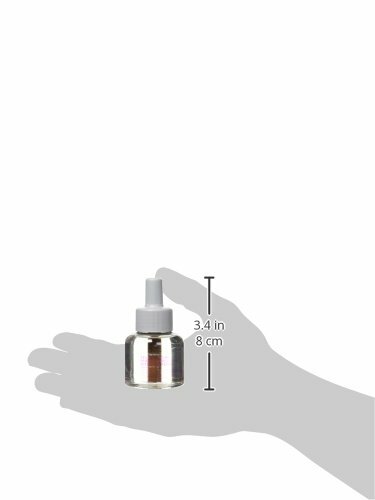 This vapor signals to your cat that the area is friendly and safe, reducing your cat’s need to spray and scratch. 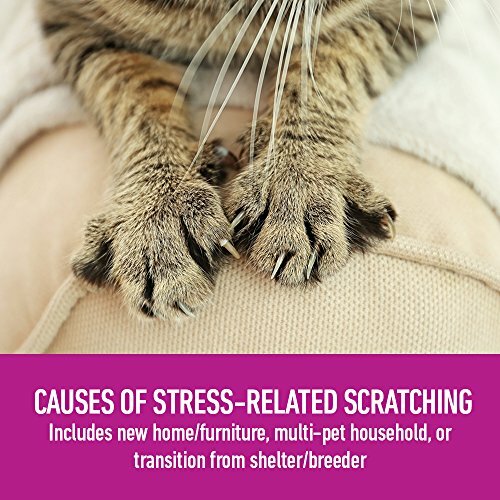 It helps to reduce or completely stop unwanted behavior due to stress-related issues such as multiple pet household, transition from shelter or breeder, moving, home remodeling or furniture changes, or changes in people and pets in the home. 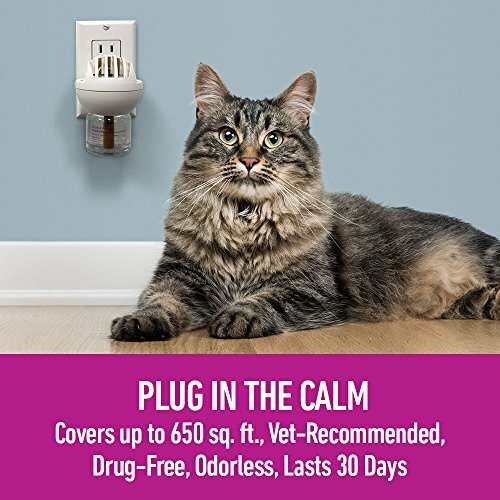 Don’t let unwanted behaviors ruin your relationship with your cat.